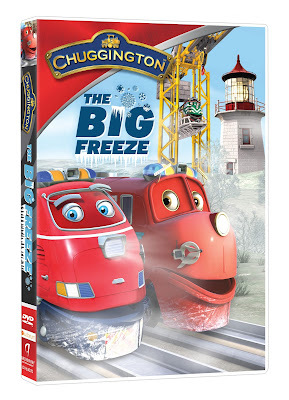 A brand-new Chuggington DVD, “Chuggington: The Big Freeze,” has come down the tracks and became available in October. Featuring six fun-filled adventures – including a never before seen holiday special episode – the latest release from Anchor Bay Entertainment is just the ticket to help families from coast-to-coast celebrate the upcoming holiday season. With a total running time of 73 minutes, this DVD will keep Chuggington fans entertained. With wholesome footage featuring cute trains, The Big Freeze has a total of six episodes. It also includes two DVD bonus features. For those not familiar with Chuggington, it features three young engines in training. They talk and have some humanlike qualities. The shows center around the engines helping each other out and learning important lessons. 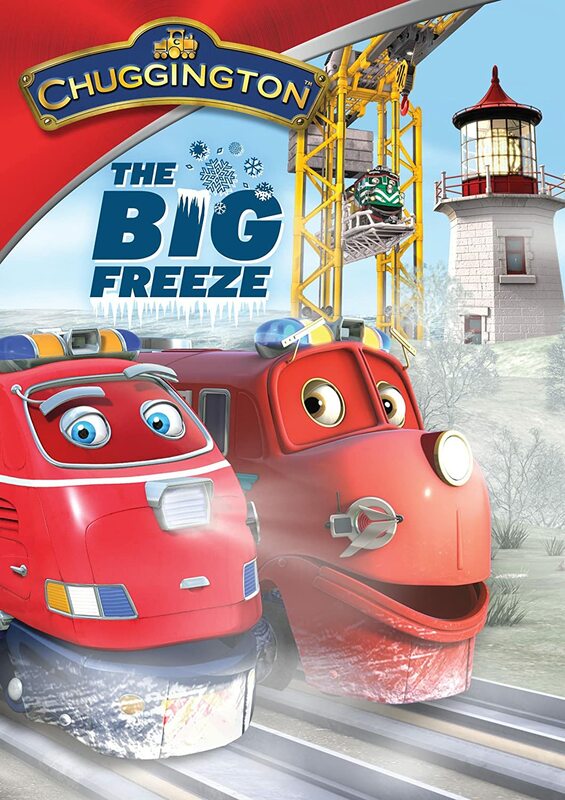 One person will win Chuggington: The Big Freeze on DVD. Yes, my four year old son loves this show. She has not yet watched this show. Yes, my grandsons have seen lots of Chuggington episodes! They love it! My kids like it even though they are getting older. Both of my boys have. My son watches Chuggington. We also collect Chuggington toys. He would love this DVD. My daughter has never watched this show but she does love trains! I think my nephew would love this too! We have not watched Chuggington. My son LOVES Chuggington! We watch it almost every day together. Yes! My 4 year old loves Chuggington! We haven't -- I don't think it's on broadcast here and we don't have cable -- but if there's a train in it, I *know* he'd love it. My son loves chuggington! his favorite is coco! Yes, both of my children love watching Chugginton on Disney Jr. Heck, I even enjoy watching it with them. It's a really cute show!! Thank you for your great review and for the opportunity to win the new The Big Freeze dvd. She has watched the show. Yes, my son loves Chuggington. Our little one loves Chuggington! Yes. My grand daughter absolutely loves Chuggington. She would watch it from daylight to dark if I would let her lol. My two have seen Chuggington! They really enjoy it. My son has seen it a few times and he liked it. My boys love to watch chuggington.